The college has two Hostel Blocks for Men and Women students with capacity of 400 and 600 respectively. Both the hostels have very specious rooms which provide comfortable and conductive atmosphere. These hostels have separate establishments and are headed by the Warden assisted by Executive Warden, Deputy Warden, and Resident Counselors. The warden assisted by Resident Counselors is the admitting authority for the hostel. The boy’s hostel located close to the institution is well equipped to accommodate about 400 students with facilities like home away from home. All the students are provided with a Study Table, a Chair, a Cot and a Cup-board for comfortable stay and studies. The mess is well equipped with stainless steel kitchen equipments and other facilities. Residential Counselors stays at the hostel to take care of the needs of the students all the time. A 24 hours security is provided at the hostel for the safety of the students. The girl’s hostel located in the campus is well equipped to accommodate about 600 students with facilities like home away from home. All the students are provided with a Study Table, a Chair, a Cot and a Cup-board for comfortable stay and studies. The mess is well equipped with stainless steel kitchen equipments and other facilities. Residential Counselors stays at the hostel to take care of the needs of the students all the time. A 24 hours security is provided at the hostel for the safety of the students. 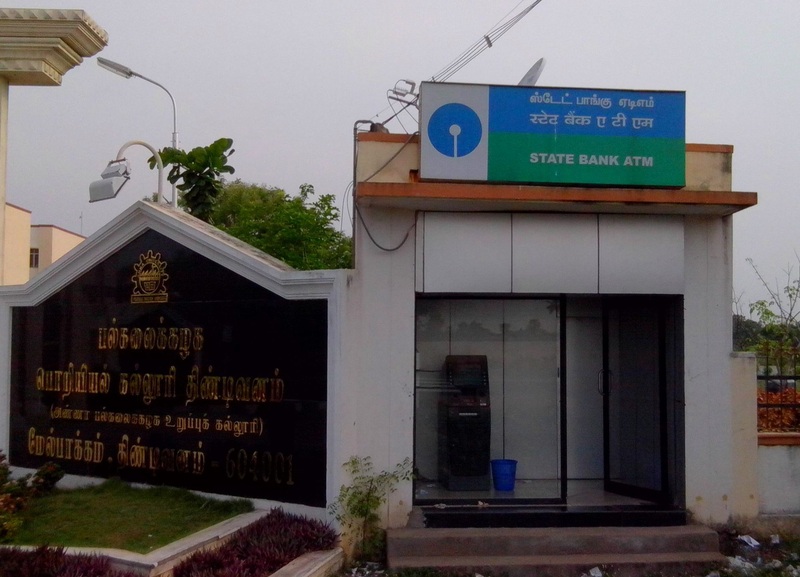 The State Bank of India have installed Automated Teller Machine(ATM) at the Entrance of UCET. This ATM caters to the requirements of the students and the staff,since it is located in the campus, it saves their precious time and effort. The college has several reverse osmosis (R.O) water plants in the campus to provide clean drinking water to the students and staff. The institute has started centralized computer centre to provide the common and advanced needs of the students and staffs. This centre started functioning in 2008. The centre provides the latest computer and browsing facilities. Apart from that there are individual computer centers for each department. 2.Each system is provided with dual operating system. 3.Net connectivity of 8 Mbps. 4.Printers & Scanners are available. 5.Battery backup is available at working hours. The training & Placement Cell is committed to provide all possible assistance to its graduates in their efforts to find employment. This commitment is demonstrated by the existence of a full-time Placement Officer in-charge. The benefits of this assistance are reflected in the preparation of UCET Students who are able to secure lucrative and esteemed position in recent years. 2.To place students in Prospective IT & Core Companies. 4.Help the students to develop a passion to win and a global mindset. The College has 500 KVA Generator which enables our campus to have non-stop power supply. It enables our campus to have centralized Air conditioning machine to be operated for the Computer Laboratory, Electrical Laboratory, Seminar hall and various other areas. The generator acts as an uninterrupted power supply resource for our Campus. Fully equipped conference facilities are available in the campus. The seminar hall 1& 2 can accommodate large number of attendees in air conditioned comfort. The audio visual facilities are digitally enhanced and designed for effective presentations with excellent auditory reception. The seminar hall 1 can accommodate 400 people while the seminar hall 2 holds 120 people at a time. It has all infrastructures like AC, LCD projector, AVI system etc. It is mainly used for placement and training activities and also used by all the departments for their students and staff for various functions.